South Africa’s genuine pacer & left-hand batsman Morne Morkel announced retirement after the upcoming series against Australia. Four test match series against Australia that will be going to held at South Africa would be his last in his cricketing career. Everyone was taken aback by this sudden decision as Morkel nurtured in a highly cricketing environment as his parents are huge fans. Ironically his decision to retire from the protean side due to his new family and foreign wife. “I have a young family and a foreign wife, and the current demanding international schedule has put a lot of strain us. I have to put them first and this decision will only benefit us going forward” said by right arm fast pacer in Cricket South Africa (CSA) release. Throwing a glance at his career not only as a bowler he displayed his tremendous Performance but also as a left-hand batsman in last order by contributing crucial runs. Played 81 tests, 112 ODI and 41 T20 six feet five inches protean bowler took 283 wickets in the test at the average of 28.46 while in ODI with 186 wickets and 46 wickets in T 20. Most interesting fact about Morkel is that he debut in the international arena in 2006 against India in Durban with cap 300. In fact, he also played in IPL from Rajasthan Royals, Delhi Daredevils and Kolkata Knight riders maintaining a nice average as fast bowler. Mostly known for his performances in test matches Morkel took 5wickets in an inning seven times comparing with his ODI career where he took 5 wickets only twice. “I have loved every minute that I have played in the Proteas jersey, and I am incredibly grateful to my teammates, Cricket South Africa, and my family and friends for the support over the years. I still feel there is a lot of cricket left in me and I am excited for what lies ahead. For now, all of my energy and focus is on helping the Proteas win the upcoming series against Australia”. During his initial day of cricket and before starting his new family he stayed with Ab de Villiers in Pretoria where they shared a close bond. 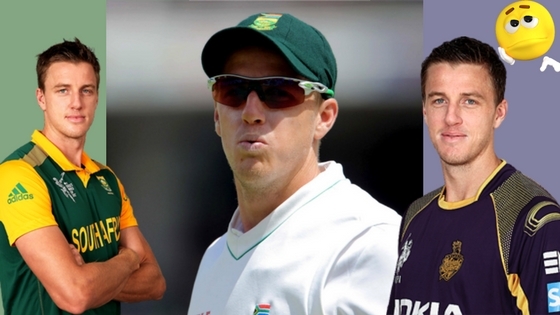 Morkel’s younger brother Albie Morkel also play for South Africa live with both. “ Being a champion fast bowler is one of the most difficult professions in the sporting world. It requires tremendous skill, dedication and perseverance and, by no means least, the courage to bowl through the pain barrier at times. Those are characteristics Morne has shown throughout his career”.